Natural Honey And Organic Honey From Framehive Beekeeping? We reported in Apicultural Review Letters  ,that the turnover with organic produce annually increase by five billion $ Dollar and 2007 passed the grade of 40 billion $ Dollars. The biggest markets for organic products are Germany, the United States, Great Britain, and Sweden. Most organic products are really good, especially fruits, vegetables, meat. They are produced with less pesticides, without GMO, and in accordance with nature. Nevertheless some organic produce are widespread who cannot alltogether be called healthy (for instance organic sugar, organic fast food, sugar containing sweets, dried milk). However, you may say: if I want to ruin my health I can do it at least without ruining the environment! Organic Honey and other organic beeproduce do not live up to expectations at all. In most cases natural beekeeping is pretended, in parts even ecological or beekeeping considering the character of bees. You can see pictures of straw hives and so on allthought there is almost no difference between organic and non-organic beekeeping method. The beecolonies are neither kept ecological in organic apiaries nor in non-organic apiaries. The "traditional" framehive beekeeping and sugar feeding allows organic beekeepers to harvest as much honey as beekeepers from other beekeeping associations. Thus there is no reason for higher prices in the organic honey sector, as this kind of organic beekeeping supports the worldwide dying of beecolonies. In beekeeping considering the character of bees the beekeeper turns one's attention to supporting a harmonical developement of the bee-colony during the year and its natural way of living. Unfortunately, this is being neglected in many apiaries - even in organic apiaries. 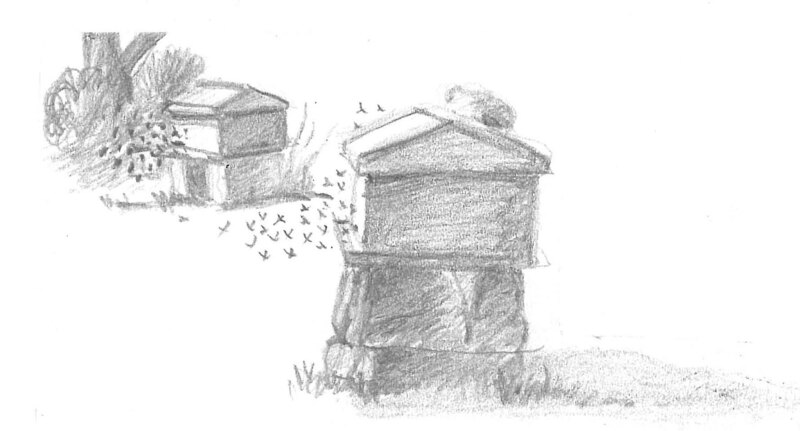 In the USA for instance apiaries with 50.000 colonies are nothing unusual. The colonies are being loaded on trucks in units of 500 colonies and are being transported with open flightholes for days and more than 4.000 km. The way of keeping bees in Europe or especially Germany is similar; framehive-beekeeping (Langstroth, Dadant etc.) - although the opposite of ecological beekeeping - is widespread, also among organic apiaries(! ); travelling with beecolonies is also very common; 30.000 km per year is nothing unusual for such an apiary - therefore "Colony Collapse Disorder" (CCD) may also occur in Europe or Germany. Centre for ecological Apiculture 2007: Organic Honey does not live up to expectations. Apicultural Review Letters 2007, 6, # 112. Dbj 2008, 16, p. 229. Thiele, M. 2008: Why do honeybees swarm? Apicultural Review Letters 2008, 7, # 239. M. Thiele 2002: Nature and Art. Apiservices 2002 - Virtual beekeeping gallery. In it: In the Organic Beekeeping Journal 8/2001 (http://www.thehealingpath.com) you can read the following councel to organic beekeepers: „The best methods of managing the swarm impulse, is to clip the queens wings and catch the swarm from the ground" - a more stupid method to deal with the swarm impulse cannot be found on earth until now ! 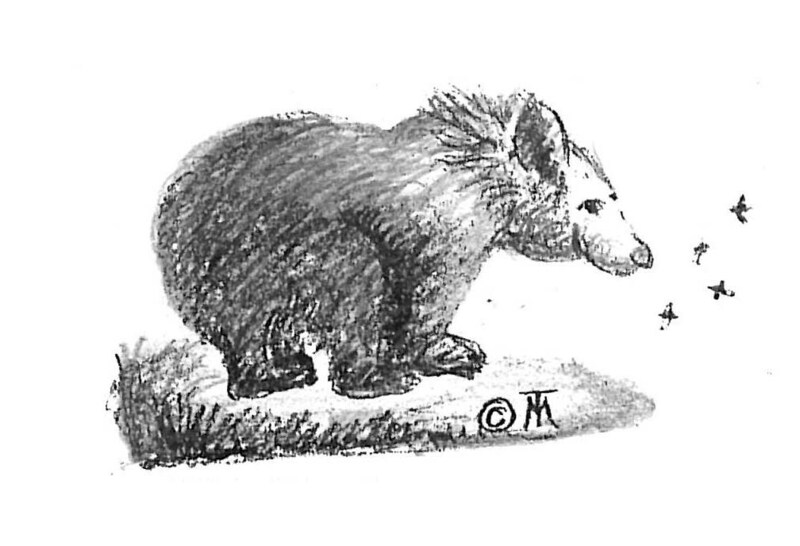 This is the way the "organic beekeeping society" supports beekeepers up in word and deed. See also note 3.